$119 ALL INCLUDED. All transport and tours. *Everything included except food. Trip Highlights – A summary of the main attractions covered under this pass. Important Notes – Up to date information regarding holiday periods or anything else which may affect our service. 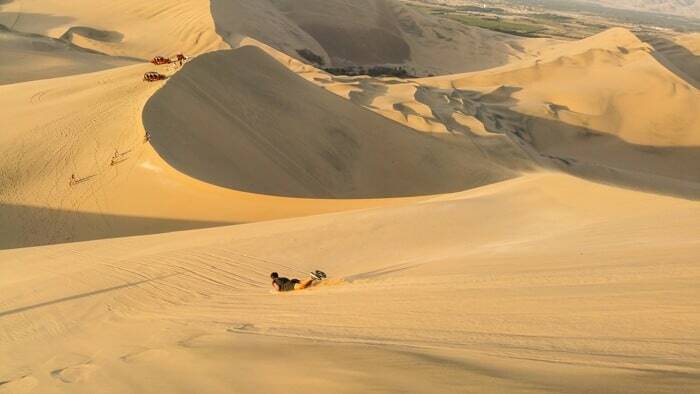 This is a full day tour from Lima where you can see the beach town of Paracas and desert oasis of Huacachina in just 1 single day. This will suit those people who are looking for something with short amount of time. Free hotel/hostel pickups and dropoffs in Lima. Avoid ripoffs and unsafe taxis. Please bring breakfast with you (direct bus). Please don’t be late, as bus must leave on time to do Ballestas Islands at 10:00am. Bring suncream, it is hot all year round in Paracas and Huacachina. Food is not included, although we have discounts in many restaurants. See itinerary for hour by hour plan. 2 hour boat tour of the Ballestas Islands. The Ballestas are a smaller version of the Galapagos, but just as great, where you’ll see sea lions, penguins and lots of birds all in their natural habitat. Free time to explore and have lunch at one of the local restaurants around the oasis. 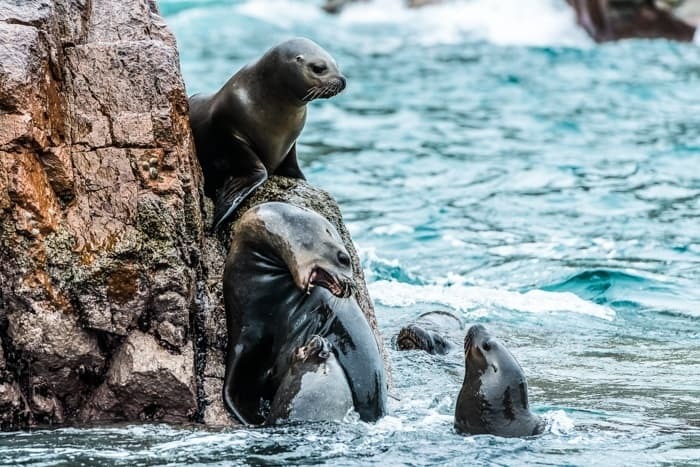 NOTE: For the Easter (Semana Santa) weekend the Ballestas Islands Tours (Paracas) on these dates will last only one and a half hours in duration. This is the same for ALL tour operators. 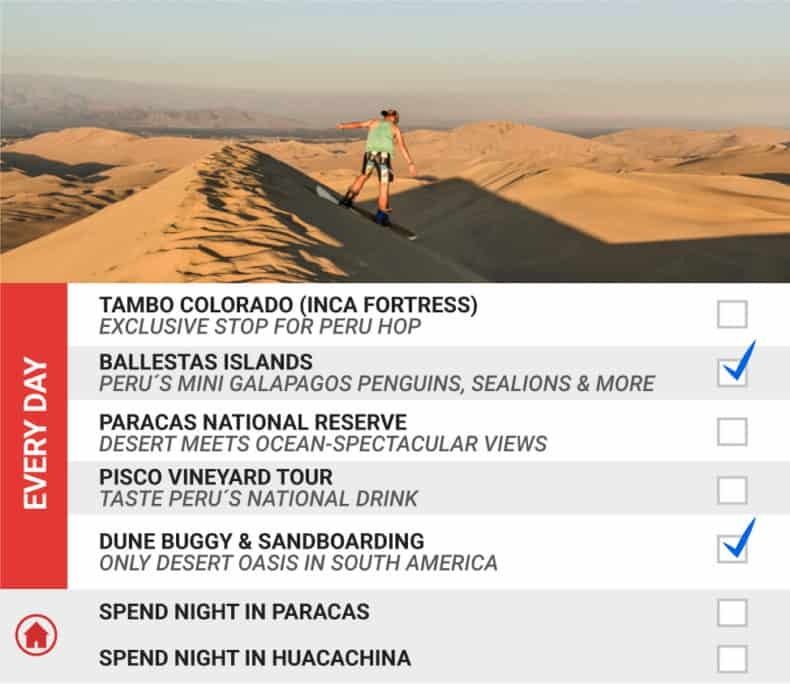 NOTE: For the Easter (Semana Santa) weekend the Dunebuggy & Sandboarding Tours (Huacachina) on these dates will last only one hour in duration. This is the same for ALL tour operators. Biggest public holidays of the year. NOTE: For the Independence weekend the Ballestas Islands Tours (Paracas) on these dates will last only one and a half hours in duration. This is the same for ALL tour operators. NOTE: For the Independence weekend the Dunebuggy & Sandboarding Tours (Huacachina) on these dates will last only one hour in duration. This is the same for ALL tour operators.